Hammer-IMS exhibits on INDEX 2017 in Geneva, the world’s premier nonwoven industry trade fair. After successful intro in plastics industry, Marveloc 602-CURTAIN multi-head solution innovates inline measurements of nonwovens in automotive & building construction. On INDEX 2017 in Geneva, Hammer-IMS will demonstrate its new turnkey Marveloc 602-CURTAIN solution for measuring thickness and weight in production lines. These revolutionary multi-head measuring solutions based on ‘M-Rays’ – electromagnetic millimeter waves – are unique in the nonwovens industry! The Marveloc 602-CUBE, another Hammer-IMS innovation, is a flexible, clean and compact measurement system, soon to be introduced to the world on INDEX 2017 as an exclusive sneak preview. The Hammer-IMS measuring systems serve as valuable add-ons for manufacturers of nonwovens, plastic sheets and films, composites and other materials. These offer a secure, ecologic and easy-to-install alternative for X-Ray & nuclear measuring equipment used today in automotive & building construction. Come and watch the Marveloc 602-CURTAIN system in action on Booth 4734. Hammer-IMS applies M-Ray based technology for thickness and basis-weight measurement of diverse nonwoven materials. It is a new clean alternative for high-voltage X-Ray or Nuclear systems for nonwoven quality measurement. The Marveloc 602-CURTAIN solution incorporates multiple M-Ray heads for automated inline measurements – unique in the world of nonwovens! 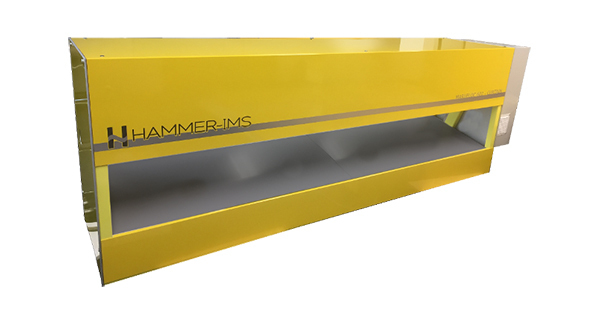 Introduced to the plastics extrusion community last October, Hammer-IMS features this solution on Index 2017 with industry-specific features and capabilities. Hammer-IMS Marveloc 602-CURTAIN multi-head solution for measuring thickness and weight in production lines. The new Marveloc 602-CURTAIN solution sets itself apart in many ways. The electromagnetic M-Rays based inline measurement solutions compare favorably against X-Ray or nuclear sensing systems. Hammer-IMS frees you from any emission licenses, which are required when using high-voltage (>5kV) X-Ray systems or nuclear systems for thick non-woven applications. The reason is that M-Rays are harmless because they are non-radioactive and non-nuclear. This means that Hammer-IMS offers a real breakthrough for both thick and thin nonwoven products in automotive and building construction applications. An important industry segment which Hammer-IMS is currently exploring is the technique of needlepunching. Quite amazing is that both thickness & basis-weight measurements can be combined in a single non-contact sensing device. Apart from measuring material basis-weight, tracking the thicknesses of non-wovens is currently an emerging process control activity. The Marveloc 602-CURTAIN even maintains its high measuring accuracy for high stand-off distances, avoiding scratches and defects on the material. In addition, the Hammer-IMS solution enables you to ship automatically generated test reports to your customers. Check out our booth on Index 2017 for more information on this newest innovation. Early April, Hammer-IMS will be present on INDEX 2017 in Geneva. This worldwide venue where the entire nonwovens industry and its suppliers will meet once again: 500+ exhibitors, and 12000+ visitors from 100+ countries. As already mentioned in the previous paragraph, the needlepunching industry is growing. Estimates, published by Non Woven Industry magazine, anticipate 5-10% annual growth for the needlepunch market. Following this projection, needlepunch is the fastest growing and most diverse market for nonwovens globally. The needlepunching industry is an important beneficiary of Hammer-IMS’s M-Ray technology. Established markets include automotive, carpeting, furniture and geotextiles. New markets are being opened as recent tech advances make needlepunch fabrics sturdier, thinner, more fabric-like and more flexible. These cover medicine, hygiene, synthetic leather, filter media, wall coverings, table cloths and coating substrates. In filtration applications, for example, dedicated fiber blends are carded and needled into a homogenous felt. Its electrostatic properties increase the media’s mechanical filtration capabilities. The high loft of the needlepunch also enhances its dust holding capabilities. The use of carding/needling technology is encouraged by the broad availability of materials including natural fibers – in contrast with increased raw material prices in the chemical fiber business. This allows automotive suppliers to lower fiber costs and increase production rates, without sacrificing quality or uniformity. The nonwovens’ expansion in the automotive market is also tied to a need for lighter-weight materials to aid in reducing fuel mileage. 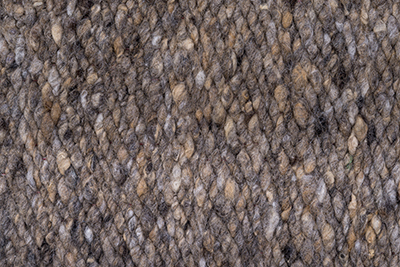 Needlepunch is making headway in automotive interior carpeting, where the material is replacing tufted and woven carpeting. It also goes beyond carpeting as nonwovens are impacting the acoustics market. The use of (non-)thermoplastic fibers increases acoustic properties, replacing glass/polypropylene composites within the underbodies of the car. Last year Hammer-IMS has exhibited on the K-Messe in Düsseldorf. At that occasion, the CURTAIN multi-head industrial turnkey solution was introduced and demonstrated, executing fast profile measurement in cross-machine direction. In that regard, EPPM magazine published a Hammer-IMS feature – introducing the enabling measuring solutions to plastic processors in Europe and beyond.